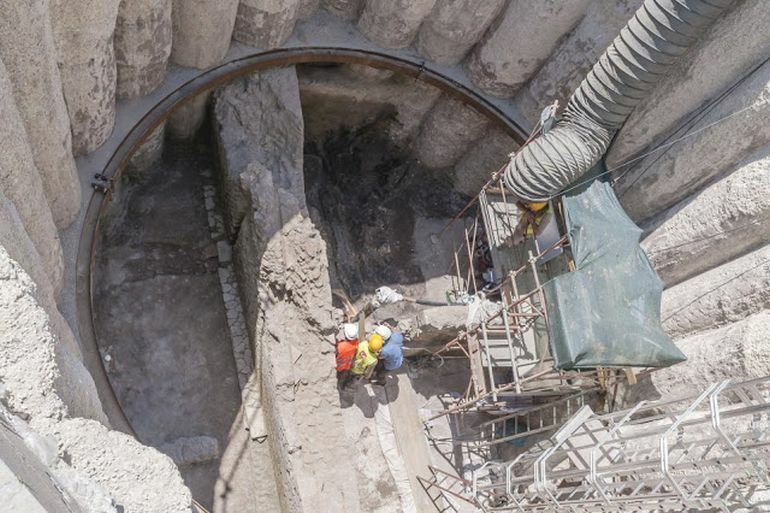 Back in April, we talked about how the construction work for line C of Rome’s metro in Piazza Celimontana unraveled an aqueduct dating from 3rd century BC. Well fast forwarding to 600-years later, Rome still managed to have its fair share of historical incidents and legacies, and some of them are poignant – as could be gathered from a ‘Pompeii-like scene’ (so described by the Culture Ministry) inside the charred ruins of a 3rd century AD Roman building. Unearthed during an ongoing construction procedure for the Metro C line, the structure was eventually found by archaeologists inspecting a recently bored hole almost 33 ft deep. 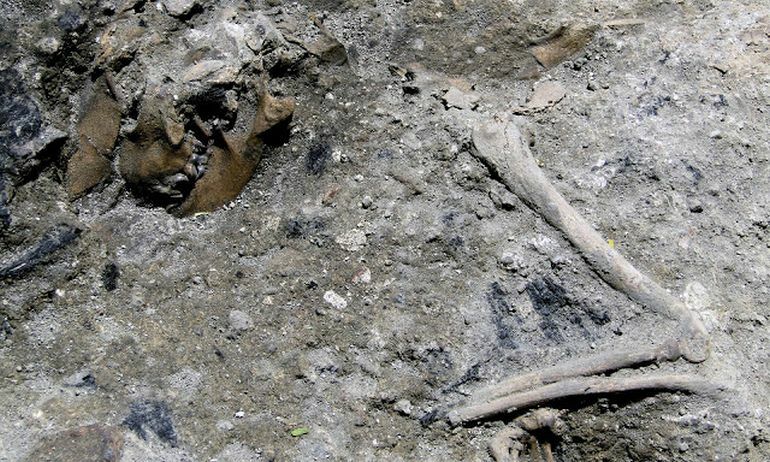 On the internal perimeter they found the 1,800-year-old skeleton of a crouching dog that had met its grisly demise from the fire that had afflicted the building. The ancient structure in question here might have pertained to a domus (house) of a Roman aristocrat situated near the foot of the proximate Celian Hill. 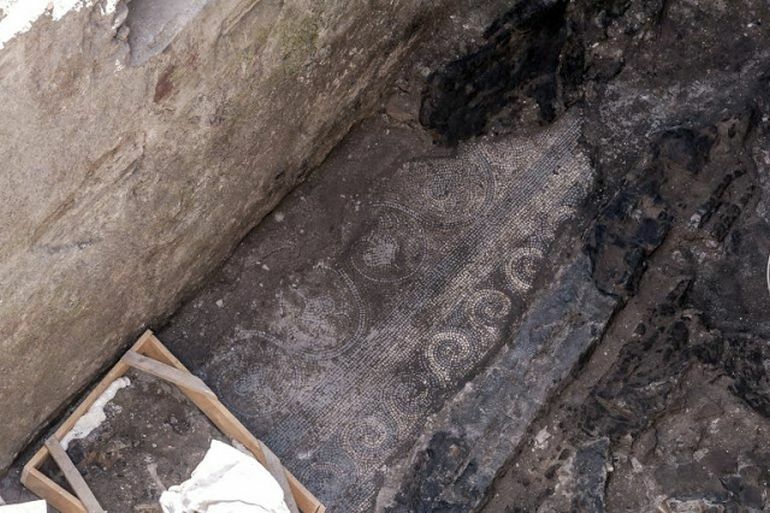 Researchers have also hypothesized about the other possibility that the building was a part of the nearby military barracks, an extensive structure that had been explored during previous works on the metro line. As for the comparison to Pompeii, beyond just the heartrending episode of an animal unable to save itself from the clutches of the blaze, ironically the fire had actually aided in preserving the artifacts and remains – much like the volcanic ashes of Vesuvius. 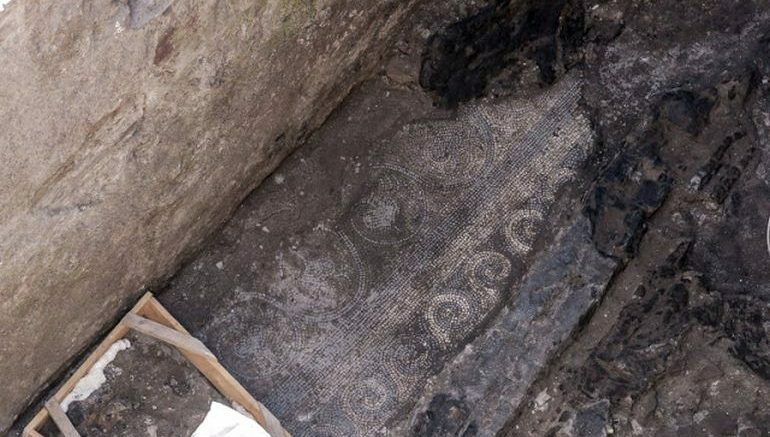 To that end, archaeologists were able to find a slew of objects from the charred ruins of the upper floor, including small and large tables, table (or trunk) legs, wooden railing or handrail, fragments of fresco-painted wall, and black-and-white mosaic floor tiles. 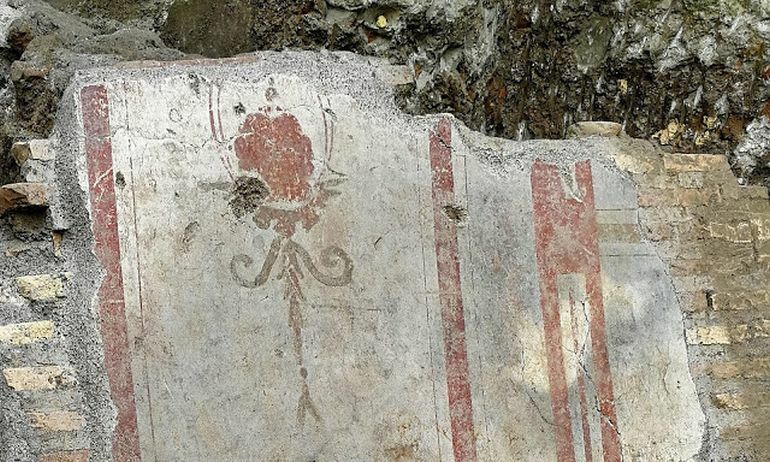 Complementing these discoveries, the ground floor revealed segments of a brickwork that was bedecked with frescoes. These artworks date from the era of Emperor Septimius Severus (who ruled from 193 – 211 AD), thus corresponding to the mid-Imperial period of the ancient Roman Empire. Finally as for the preserved remains of the dog itself, the researchers were able to discern part of the unfortunate critter’s jaw with its teeth intact. The skeleton was also found in a crouched position by the door of the building, thus suggesting how the animal was trapped by the engulfing fire.